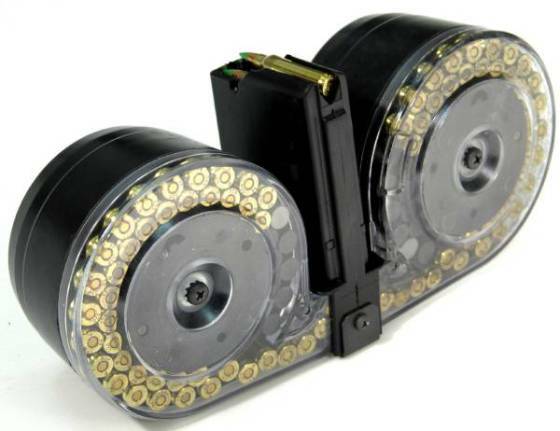 You don’t need a reason to own a 30-round magazine. If you want a reason, you can count on the Left to give you one. Jason Fuller, HuffPo blogger, calls for Trump and *everyone* assisting his agenda… to be executed! U.S. Senator Tim Kaine (D) called for people to fight in the streets! “What we’ve got to do is fight in Congress, fight in the courts, fight in the streets, fight online, fight at the ballot box.” Congratulations, Tim, they are fighting in the streets. Courtland Milloy, Agitator of The Washington Post, wants to spit on conservatives and knock their teeth out. “I know how the ‘tea party’ people feel, the anger, venom and bile that many of them showed during the recent House vote on health-care reform. I know because I want to spit on them, take one of their “Obama Plan White Slavery” signs and knock every racist and homophobic tooth out of their Cro-Magnon heads.” So, if you are a member of the Tea Party, Courtland thinks you are sub-human, did you get that? Lea wasn’t alone in her baseball bat approach. The rainbow mafia felt justified carrying baseball bats and “patrolling” Evergreen State College to protect themselves from people who refuse to driven from campus because they are white. If you were on Evergreen’s campus (while being white without rainbow permission), you were making *them* unsafe and so you were asking for it. The Berkley Bike Lock Basher showed what his kind are willing to do to conservatives. Eric Clanton, former Diablo Valley College professor, was charged with four counts of felony assault with enhancements (maybe for using a heavy bike lock to strike someone on the head at a pro-Trump rally) and wearing a mask during commission of a crime. 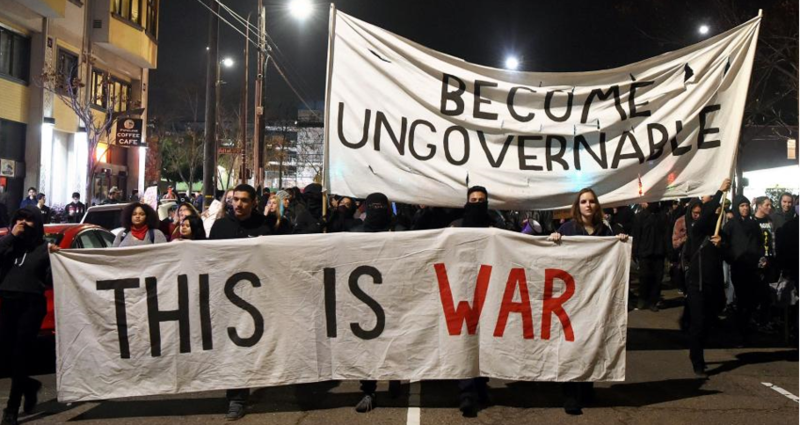 The mobs using black bloc tactics, masks, threats, arson, and assault… supported and defended by celebrities, academics, pundits, journalists, and politicians have chosen sides… against conservatives. The media who deliberately avoid reporting on Leftist violence or who downplay the violence from the Left, made it clear. Leftist organizations are arming up. Check out the cooing, kid gloves treatment the Left gets from the Australian Broadcasting Corporation. Can you imagine anyone treating actual American patriots and free-speech advocates this way? When the minions of Maxine Waters (D) follow their orders and create a crowd, when they surround you, when they harass you… you can’t possibly know whether or not they will stop. Will they assault you as Leftists have done before? Will they try to murder you like James Hosdgkinson tried to kill Republican congressmen? If they are willing to attempt mass assassination, are they above killing you? …the 100-round magazine is heavy and compromises the ergonomics of a modern sporting rifle (especially on a single-point sling). When the Left shows you it hates you and wants to harm you, it seems prudent to believe them.